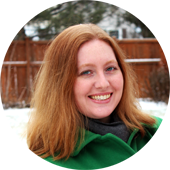 Yesterday, I announced that Anodyne Design had won a small business grant from the wonderful people at Intuit, and I shared my plans for how I would be using that grant to grow and improve my little business. It was exciting to really think about the my “next move,” and I can’t wait to get started! But the contest isn’t quite over. This week, the 9 finalists from April, May and June will be judged by Seventh Generation co-founder, Jeffrey Hollender, for a chance to win the grand prize of an additional $25,000 small business grant. The judging criteria are simply to find the business that is “most loved by its customers, vendors, employees, or local community.” I have taken a look at the other finalists, and I think it’s going to be a tough call to make. In the spirit of looking to the future of Anodyne Design, whether I were to win the grand prize or not, I have given some thought to how I might best use $25,000. In addition to my original plan focused on developing the online side of Anodyne Design, I would also start developing an online indie boutique that would provide a home for small, local businesses engaged in environmentally responsible design. As a maker myself, I am always searching for the most eco-friendly materials, and I particularly like to create items that are designed to be re-used, to last, and to replace something disposable. As a shopper, I am looking for the same sort of items, and I don’t think I am alone. This venture would require a new web presence, branding, and advertising. An extra $25,000 would also make it possible for Anodyne Design to participate in larger in-person events, such as the Renegade Craft Fair and Strange Folk Festival, which require entry fees, travel, and a significant investment in time. One of the joys of being a small business is in being able to interact one-on-one with individuals who share my love of handmade, and I would love to be able to pursue that beyond the bounds of my small town. I would also be able to invest in some new equipment that would help me to be more efficient and to create items that so far have just been waiting in the “someday” pile. In particular, I would be adding a new serger and a die cutting machine to my arsenal of tools. I will also be able to continue using top-of-the-line environmentally responsible materials. And perhaps most importantly, $25,000 would definitely make it possible for me to expand the space dedicated to my business, which for the moment is only one-half of a small office I share with my husband. I can just imagine how much more productive and creative I could be if I had a little more space. So this is my plan of action, whether I jump into the fast lane with the grand prize grant, or whether I take it slowly. Either way, it’s going to be awesome. What do you think? Did I miss something, should I being paying more attention to one part of this than another? Like I wrote in my last post, Anodyne Design isn’t much without you, so your input is really important to me as I grow. Let me know what you think! One of my strongest memories from elementary school was a school-wide presentation we were all herded to the gym to attend. On stage, a man and a woman taught us about cold pricklies and warm fuzzies. Obviously, warm fuzzies were good things to share with other people and cold pricklies were not. One of my favorite things about owning my own business and selling handmade is all the warm fuzzies people freely give me. I love hearing what you think about my work, whether you buy it or not, and I really love getting feedback from buyers. One of my favorite things I’ve heard a few times recently is, “I bought something from you awhile ago, and I love it and use it all the time.” Seriously, this sort of comment makes my day. It’s warm fuzzies for me, and I really hope that I’m giving warm fuzzies back to you, too. 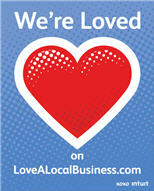 Last month, I signed up to participate in Intuit’s Love a Local Business contest. Small, local businesses sign up and then their fans leave comments about the business. Each comment counts as a vote, and at the end of the month, 3 comments are selected and the businesses win a small business grant. Amazingly, and thanks to your kind and generous comments, Anodyne Design was one of the June winners! Thank you to everyone who left a little love for Anodyne Design, and to Intuit for having such a cool program! I have been thinking hard about how to best use the grant to grow Anodyne Design, and I have a few ideas. But I would also really love to hear from you about how you would like to see Anodyne Design grow and improve, because it if weren’t for all the wonderful people who support me with their love, nice words, and occasional purchases, there would be no point to Anodyne Design. So I’ll share my plan with you, and I’d love it if you would share your ideas in a comment. All of this will help me to launch a lovely new online shop that should provide the best possible shopping experience, and also help me to help spread the word of Anodyne Design and handmade accessories in general. I am also planning on using the grant to engage in a few less-exciting, but important tasks, including repaying a small business loan and hiring someone to help me make sure all my taxes are nice and orderly. And finally, this grant should help me to start working with more environmentally friendly (and sometimes more costly) materials, such as organic cotton. I always try to make the environmentally responsible choice for Anodyne Design when I can, and a little more capital is going to make that a little easier to do. So that’s my plan… what do you think– is it a good one? Would you do something different? What do you want to see from Anodyne Design? Please let me know!